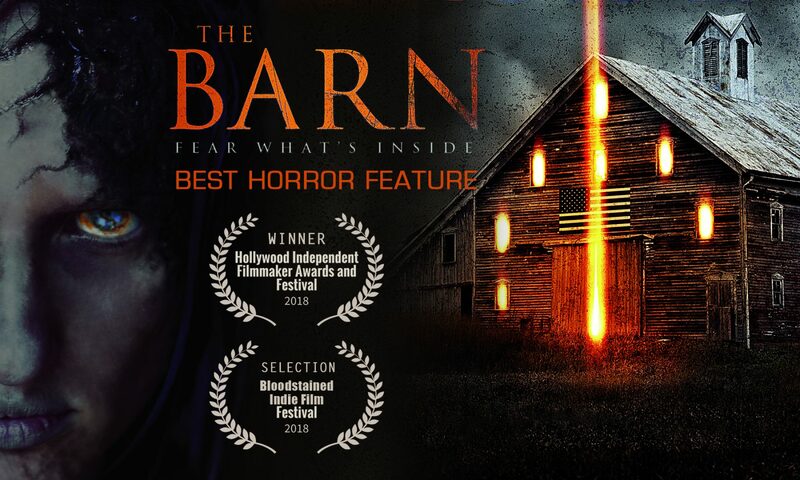 The Barn – Feature film directed by Matt Beurois, produced by Auregan. Feature film directed by Matt Beurois, produced by Auregan. THE BARN is a feature film directed by Matt Beurois, produced by Auregan. Buy – rent on Amazon Prime now. Full list of retailers here. A serial killer strikes Sugar Grove, Virginia. The official investigation, conducted by Sheriff Deputy Benjamin Clarkson, has no serious lead to date. As the number of victims increases rapidly, Richmond’s TV channel KRCB sends to town her rising and ambitious journalist Melissa Crawford. Her investigation will shake the local community, and lead her to discover the town’s long lasting secret, inside the farmer’s Gil Perry’s barn. About Us : Yucca Prime is a production company based in Beverly Hills and Burbank, Los Angeles. About the director : Matt Beurois is an international director originating from France. He has directed more than 25 films and documentaries, earning more than 15 awards including Cannes Film Festival, Los Angeles Movie Awards and garnered nominations to more than 60 festivals including the Academy Award Qualifying Edmonton and Hollyshorts.